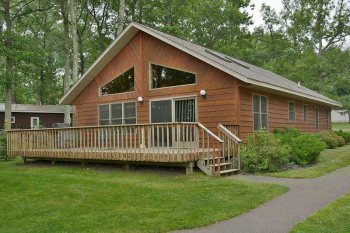 Pat's Landing is situated on a breathtaking stretch of shoreline on Chief Lake of the Chippewa Flowage. All condos overlook spectacular sunrises on Chief lake. 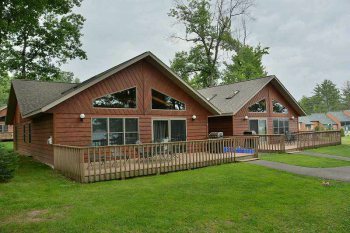 This property has becoming a prime location for families vacationing together in the summer and snowmobile and skiing groups in the winter. 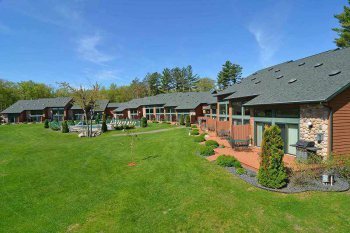 Our amenities include a heated swimming pool, lake swimming area, kayaks, paddle boats, weekly kids activities, playground, and kids fishing trips. We also have pontoons of varying sizes and a fishing rig available for rent. To top off your stay, join us at historic Pat's Landing Bar & Grill right on the water's edge! 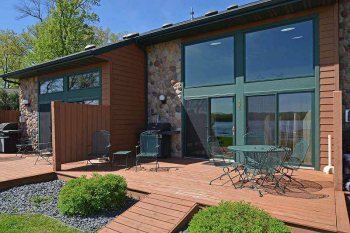 Sip a tall cold one and oversee everything on Chief Lake! 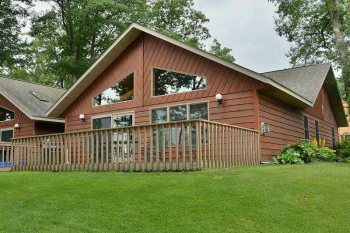 Explore our Cabin 102 and see how every condo and vacation home is designed and furnished to meet all your vacation needs.